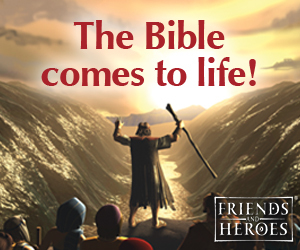 The patterns for these lessons come in both the King James Version and NIV. The Bible verse on this sheet is from Romans 10:15, ". . . How beautiful are the feet of them that preach the gospel of peace, and bring glad tidings of good things!" 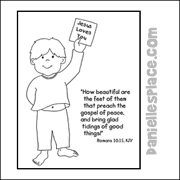 The little boy in the pictures is holding a paper that says, "Jesus Loves You!" 1. Before class print out the Recipe Page and make copies. 2. 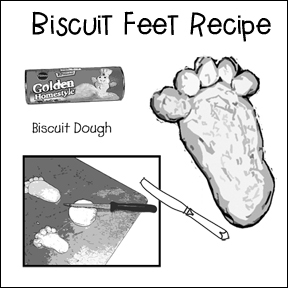 In class have your children read the directions and make their own feet biscuits. Before doing this project explain to your children that the word “digits” refers to the ten numbers 0 through 9. A digit can also be a human finger or toe. Tell them that they are going to cut out and glue the “digits” to the foot pattern placing the “digits” in order from one to five. 1. Print out the activity sheet and make copies. 1. If you are using only the numbers 1 – 5, use only the left foot pattern and the toe pattern. If you have very young children who can’t use scissors, cut out the toe patterns and number them 1 through 5 starting with the smallest toe as shown in the picture. 3. If you have more advanced children use the numbers 0 – 9, print out the right foot and the left foot pattern and the toe pattern. Have your children cut out both feet patterns and glue them to a large piece of construction paper and then cut out the toes and glue them to the feet and number them 0 – 9. And then cut out the title that says, “I know my digits!” and glue it to the bottom of the page. Continue singing using the following verses: Jump for joy, march in place, march in place, do all four. Sing a Song to the Tune of This Old Man. That's what these two feet are for. Sing "Little Feet, Be Careful" then give each your children two paper plates and have them stand on them. As you sing the song have your children slide around in a circle with the paper plates under their feet. All the other teachers were asking how I came up with the project, I told them of your site and I expect a lot of them will be looking into it! 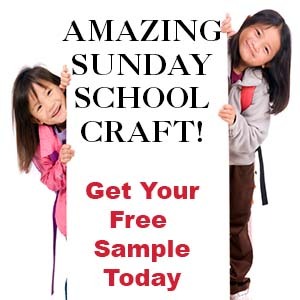 I am going to speak with our Sunday Bible School Superintendant about a church subscription, I feel it will benefit all! Help your children trace their feet onto a piece of paper. Write the memory verse at the bottom of the paper. Have the children color their feet and then help them write what they like to do with their feet. Give each child a coloring page and some crayons. Tape the papers to the floor so that they don't move around. Show them how to place a crayon between their toes and color by moving their feet around. Comment while the children are coloring, "Aren't you glad we don't have to use our feet to color with all the time?" I'm glad God gave us hands to color with. Our feet may not be able to color very well, but they can do so many other things really well. 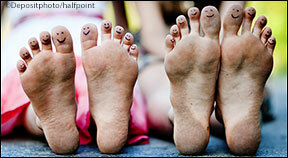 Can you think of some things that God created our feet to do? Home School Materials are also Included in this Lesson, Including Math Activity Sheet. The word "digits" refers to the ten numbers 0 through 9. A digit can also be a human finger or toe. Children cut out and glue the "digits" to the foot pattern placing the "digits" in order from one to five. Follow the link above for even more educational activities including: Art, fun with numbers, fun with letters and words, physical fitness, cooking, and just for fun ideas.